Wound healing after dermal injury is an imperfect process, inevitably leading to scar formation as the skin re-establishes its integrity. The resulting scars have different characteristics to normal skin, ranging from fine-line asymptomatic scars to problematic scarring including hypertrophic and keloid scars. Scars appear as a different colour to the surrounding skin and can be flat, stretched, depressed or raised, manifesting a range of symptoms including inflammation, erythema, dryness and pruritus, which can result in significant psychosocial impact on patients and their quality of life. In this paper, a comprehensive literature review coupled with an analysis of levels of evidence (LOE) for each published treatment type was conducted. Topical treatments identified include imiquimod, mitomycin C and plant extracts such as onion extract, green tea, Aloe vera, vitamin E and D, applied to healing wounds, mature scar tissue or fibrotic scars following revision surgery, or in combination with other more established treatments such as steroid injections and silicone. In total, 39 articles were included, involving 1703 patients. There was limited clinical evidence to support their efficacy; the majority of articles (n = 23) were ranked as category 4 LOE, being of limited quality with individual flaws, including low patient numbers, poor randomisation, blinding, and short follow-up periods. As trials were performed in different settings, they were difficult to compare. In conclusion, there is an unmet clinical need for effective solutions to skin scarring, more robust long-term randomised trials and a consensus on a standardised treatment regime to address all aspects of scarring. The process of wound healing after injury to the skin is complex, with many overlapping mechanisms involved including inflammation, proliferation and tissue remodelling . The inflammation phase takes place in the first 48 h following injury triggering a signalling cascade [50, 77], with neutrophils and macrophages accumulating at the wound site to prevent infection [50, 112]. Fibroblasts begin to synthesise a wide range of extracellular matrix molecules (ECM) during the proliferative phase, repairing the wound and restoring the structure and function of the skin, with new blood vessels formed to restore circulation [35, 104]. The process of remodelling leads to a more formal and cross-linked arrangement of the ECM as the scar matures  which can last up to a year . Scarring is an imperfect mechanism; an evolutionary compromise made to restore tissue integrity, preventing infection at the expense of appearance. Scars take many forms, depending on size and severity, the type of injury and the anatomical location . Many heal to become fine-line asymptomatic scars, but some lead to abnormal scarring (Fig. 1). There is a spectrum of pathological skin scars ranging from stretched, depressed and/or contracted, to raised dermal scars such as hypertrophic and keloid scars, categorised by over-expression of ECM during the proliferative and remodelling phases of wound healing, which may have a genetic element in certain individuals [16, 19, 99, 100, 101]. While sharing characteristics of being raised, keloid scars progress beyond the boundaries of the original wound and do not regress over time unlike hypertrophic scars [21, 70]. Thus, clinical misdiagnosis between the two can complicate findings of clinical trials in management of raised dermal scarring. Scar scales are used to assess severity from a clinical and patient perspective [45, 95]. These include the Vancouver Scar Scale , the Manchester Scar Scale , and specialised scales for burns  and keloids . All assess symptoms including inflammation, redness (erythema) or colour compared with the surrounding skin, size, scar contour, dryness and itchiness (pruritus). However, no scar scale is perfect; each scale evaluates a different set of criteria using a variable number of criteria, and often relying on the subjective interpretation of individual clinician, making it difficult to compare assessments between studies. The patient-reported impact of scars measure (PRISM)  is useful as patients perceive scarring differently to clinicians [41, 46]. This psychological dimension is relevant as skin scarring, which is visible or cannot be hidden by clothing or makeup, can impact on self-esteem and quality of life [15, 17, 111, 114]. Different treatment options are available to aid the scarring process, in particular focusing on severe types of scarring. Some, such as electrical stimulation [20, 49, 84, 90], photodynamic therapy [68, 85] and steroids are only available in a clinical setting. The most cited treatment option for keloids is surgical excision, followed by combination therapy including intralesional steroid injections, most commonly triamcinolone (TAC), with silicone gel or sheeting and/or pressure bandages [13, 102]. However, recurrence rates following keloid revision surgery are high and are difficult to define, varying considerably (40–100 %) depending on the application and adherence to the recommended and prescribed treatment options, the location of the original scar (with keloids excised from the earlobes recurring less frequently than those from the sternum or back) and the follow-up period of the study [2, 16]. Hydration and occlusion, facilitated by silicone gels and sheeting, are thought to potentially influence burn, hypertrophic and keloid scar maturation [1, 26, 92, 97, 117], suppressing the inflammatory response triggered by keratinocytes and the epidermis in response to a compromised stratum corneum . The administration of TAC as a control in combination with other treatments is a common approach to assess efficacy of new treatments; for example, with 5-fluorouracil (5-FU) [3, 38, 52, 115] and verapamil, a calcium channel blocker which stimulates procollagenase synthesis [37, 74]. A number of prescription and over-the-counter topical remedies are available, which claim to alleviate symptoms and improve the appearance of scars and accelerate the rate of wound healing. Topical therapies have their advantages; specifically, increased adherence, the localised delivery of product and the reduced effect of first pass metabolism . Patients often self-medicate independently of clinician care following injury or surgery to treat specific signs and symptoms of concern. Patients only report these concerns and seek diagnosis and treatment, should signs and symptoms worsen, most commonly, in the case of hypertrophic and keloid scarring, leading to a more radical approach being required. There is no comprehensive review of the efficacy of many of these readily available treatments and the quality of research published utilising over-the counter or topical treatments, nor is there a standardised diagnosis and treatment protocol for problematic skin scarring aimed at treating specific signs and symptoms. The aim of this review is to summarise these treatment options and interpret their effectiveness from the published clinical data, in comparison to other approaches, while proposing a more formal approach for treating symptoms of healing wounds, scars and fibrotic scarring such as keloid scarring. 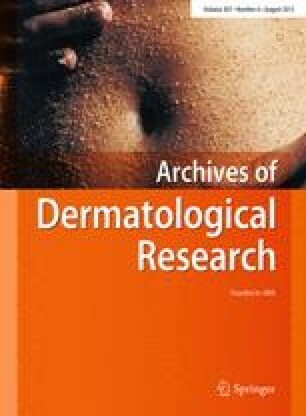 A literature search was conducted in Pubmed and Scopus to identify relevant English language literature published in the field of topical treatments for wound healing and keloid and hypertrophic scarring, as alternatives to the commonly utilised silicone and intralesional steroid therapies. Terms included combinations of “wound”, “healing”, “skin”, “scar”, “burn”, “keloid” and “topical”, and were further refined to include the names of individual therapies identified during the search. Key review papers in the field were also consulted. Identified articles were archived in Endnote XI (Thompson Reuters, USA), and duplicates removed. The titles and abstracts of all identified literature were assessed to determine their relevance to the objectives of the review. The reference lists of identified articles were then searched in order to identify further publications of interest. The search focused on clinical trials published since 2000 relating to the effect of skin topicals on healing wounds following surgery, new or mature scars and fibrotic scarring, with an outcome measure of improving the resulting scar quality or reducing the rate of keloid recurrence following revision surgery. Studies in animal or cell culture models were not considered beyond adding context in relation to methods of action. Once identified as being appropriate for inclusion, individual trials were then assessed using the Oxford Level of Evidence (LOE) protocol, to establish the validity and robustness of the data presented (Table 1) [60, 61, 62]. A considerable range of trials were evaluated for inclusion in this review, from systematic reviews and randomised controlled trials to case/control studies and pilot studies, focussing on different topical treatment options for wound healing, normal scarring and burns as well as for keloid and hypertrophic scars. In some instances individual therapies were trialled on their own, or in combination with more established therapeutic approaches, such as steroid injections, or following revision surgery. These studies were assessed on a case-by-case basis, and were included if the outcome measure demonstrated the benefit or otherwise of the topical therapy intervention compared with standardised treatment—with respect to the quality and properties of the resulting scar as determined by the appropriate scar scales, and in the case of keloid scarring with respect to recurrence following surgery. All trials identified for inclusion are summarised in detail in Table 2. For each treatment option, listed below, an overview is given followed by its effect on the symptoms of normal scarring, burns and fibrotic scarring. Randomised trial, three groups—onion extract, silicone or both treatments. Imiquimod is an immune response modifier, typically formulated as a 5 % cream, used in a range of dermatological conditions such as warts and other viral-associated conditions . Ten different articles were identified for inclusion, treating 193 patients [10, 11, 12, 23, 33, 73, 76, 89, 93, 105]. Of these studies, just one was a randomised double-blind controlled trial  ranked as LOE 2, the rest were case studies and case controlled studies ranked as LOE4. The majority of studies looked at applying imiquimod after keloid shave excision, one followed excision of melanocytic nevi  and one following breast surgery. The follow-up period ranged from 8 weeks  to 12 months, the remainder of studies (n = 8) had follow-up between 16 and 24 weeks or 6 months. Seven studies led to a positive response, whereas three studies were negative. One case–control study, utilising imiquimod following breast augmentation indicated an improved scar appearance compared with control treatments . 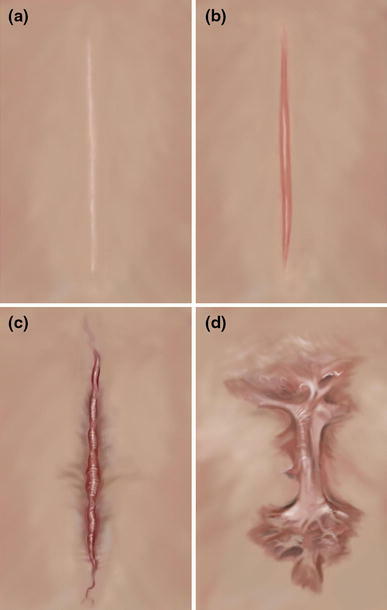 A number of different case studies ( n = 12,  n = 6,  n = 4) demonstrated a positive response when used following ear keloid excision, preventing recurrence [12, 76], and improving pruritus, pain and cosmetic appearance over time . The randomised case–control study by Berman et al. following keloid shave excision, demonstrated an improvement, but there were not enough patients (n = 20) to demonstrate a statistical significance. The case study by Patel and Skinner  demonstrated only one recurrence following ear keloid excision in 60 patients. The case study by Chuansuwanich and Gunjittisomram  (n = 45) concluded that imiquimod was more effective at preventing recurrence of keloids excised from the earlobe than from other areas, which may be linked to skin tension. However, the prospective randomised controlled trial by Berman et al. of imiquimod following surgical excision of melanocytic nevi (n = 20) found no clinical or cosmetic short-term benefit. The case study by Malhorta et al. (n = 2) indicated that discontinuation of imiquimod following presternal keloid excision led to recurrence within 4 weeks, although with the limited sample size, it is difficult to draw firm conclusions. The case study by Cacao et al. (n = 9) concluded that imiquimod failed to prevent recurrence after 20 weeks following surgical excision of trunk keloids, although this could be related to anatomical location as many of the studies that indicated a positive response were following keloid excision from the earlobe. Mitomycin C is an anti-tumour antibiotic, which inhibits DNA synthesis and cell proliferation, and is used to prevent recurrence following keloid scar excision. Mitomycin C inhibits keloid fibroblast proliferation in a cell culture model , and was shown to improve response and reduce scarring following aerodigestive surgery . While this can be administered intralesionally, a number of preliminary topical trials have been performed, applying mitomycin C for 2–4 min directly following keloid excision. Seven different articles were identified for inclusion, treating 84 patients in total [6, 30, 53, 96, 98, 106, 110]. All of these were small case studies for treating keloids following surgical or shave excision, classified with an LOE of 4. The shortest follow-up period was 2 months, the remainder were all 6 months or more. Five studies led to a positive response, whereas two studies drew neutral or negative conclusions. A retrospective case study, utilising mitomycin C following excision of head and neck keloids (n = 10) indicated that recurrence was prevented in all but one patient . Several case studies following earlobe keloid shave excision (Bailey n = 10, Chi n = 12 and Gupta n = 20) concluded that patients and clinicians were satisfied with the outcome, with scar improvement in almost all cases [6, 30, 53]. A further case series conducted by Seo and Sung  (n = 9) concluded that topical mitomycin C treatment led to a more favourable response, while wounds treated with intralesional mitomycin C responded worse. However, the case study by Sanders et al. (n = 15) showed no difference in keloid recurrence treated with or without mitomycin C in combination with intralesional TAC. In the case study by Talmi et al. (n = 8), despite patients appearing satisfied, mitomycin C failed to prevent recurrence. A number of plant extracts, with a basis in traditional medicine, marketed as “natural” alternatives, have been used in a range of wound healing and cosmeceutical formulations. Many are used in combination with other treatment regimes, either formulated in creams or added to dressings, to try and improve the conditions for wound healing. Onion extract contains a range of phenolic anti-oxidant and anti-inflammatory compounds and were originally used for treating full and partial thickness burns; however, more recently these have been trialled for the treatment of hypertrophic and keloid scarring, and healing wounds. Onion extract and quercetin have been shown to reduced fibroblast proliferation in a cell culture mode, inducing matrix metalloproteinase-1 expression, suggesting a role in ECM remodelling . For topical treatments for skin scarring containing onion extract, 16 different articles were considered for inclusion, treating 2,703 patients [14, 24, 27, 32, 34, 42, 43, 56, 59, 63, 65, 69, 79, 87, 91, 116]. Of these, however, two papers [14, 116], both ranked as LOE category 2 were large retrospective analysis, with 771 and 1269 patients, respectively, and a third was a retrospective case study , ranked as LOE 3 with 63 patients. Of the remaining 13 articles (n = 600), two were randomised controlled trials [43, 63] ranked as LOE category 1, two were randomised trials ranked as category 2 [42, 59] and the remainder were smaller, randomised case–control studies of varying sizes, ranked as LOE category 3 and 4. Follow-up period ranged 2–6 months, with most (n = 8) being 10–12 weeks. The most commonly utilised onion extract products are Mederma® [34, 42, 43] and Contractubex® [14, 56, 59, 65, 69, 87, 116], (both Merz Pharmaceuticals, LLC, Greensboro, North Carolina) Mederma® is the US formulation containing 10 % aqueous onion extract and 1 % allantoin, whereas in addition, Contractubex® (the European formulation) contains 50 U heparin per gramme. The remaining studies utilised Cybele® Scagel [32, 63, 79] (Bangkok Botanica, Bangkok, Thailand), Erasé gel , (ABCA Pharma Lab Co., Ltd., Nonthaburi, Thailand) and Kaloidon gel  (Laboratori Farmacologici Milanesi, Milan, Italy). Eleven of the studies identified reported positive experiences with onion extract. Both of the large retrospective studies concluded that Contractubex ® was well tolerated, leading to an improved scar condition as assessed using a range of scar scales and patient opinion over time [14, 116]. The randomised controlled trial by Ho et al. (n = 120) using Contractubex ® following laser-assisted tattoo removal observed reducing scarring compared with untreated control. Two randomised studies by Draelos in 2008 (n = 60) and 2012 (n = 44), following shave excision of seborrheic keratoses, concluded that Mederma ® improved the appearance, signs and symptoms of the healed wounds compared with untreated controls [42, 43]; however, both these studies note that funding was provided by the manufacturer Merz Pharmaceuticals. The split-scar analysis by Chanprapaph utilising Erasé gel following caesarean (n = 20) indicated improvement in scar height and symptoms in the treated half, but no difference in redness, pliability or overall appearance . The three studies ultilising Cybele® Scagel following excision of presternal hypertrophic scars (, n = 60), skin grafts (, n = 15) and partial thickness burns (, n = 63) all concluded that the treatment led to a better response, with respect to scar appearance and symptoms, than untreated wounds. The open-label non-randomised trial by Campanati et al. (n = 35) which used Kaloidon gel on established keloid and hypertrophic scars concluded that erythema was reduced and overall appearance improved compared with the untreated controls. The randomised blinded comparative study by Perez (n = 30), comparing onion extract gel with a hydrocortisone, silicone and vitamin E lotion to treat keloids and hypertrophic scars, concluded both were more effective than placebo; improving appearance, lesion induration and pigmentation. However, hydrocortisone was more effective at improving erythema and pigmentation . Two studies concluded that combination therapy led to improved scar response than individual treatments. The open, randomised comparative study by Koc et al. (n = 27) determined that the combination of Contractubex ® and intralesional TAC was more effective at relieving pain and itching in hypertrophic scars and keloids than TAC alone. The comparative study by Hosunter et al. (n = 60) using Contractubex ® and silicone gel sheeting to treat keloid and hypertrophic scars concluded that co-administration led to the best response. Three studies gave neutral or negative conclusions. The randomised case–control study by Karagoz (n = 45) in hypertrophic burn scars concluded that silicone gel sheeting was more effective than Contractubex ® at improving appearance and condition . The randomised double-blind split scar study by Chung et al. (n = 24) following surgery, with Mederma ® compared with petrolatum emollient found no difference between the two treatments. The randomised controlled trial by Ocampo-Candaini (n = 61) following caesarean determined that while patients liked Contractubex®, there was no difference in the improvement in POSAS scale scores over time compared with no treatment; however, follow-up was only 12 weeks in this study which may not have been enough time to observe a significant response. Green tea (Camellia sinensis) contains phenolic compounds, known as catechins, with anti-oxidant and anti-inflammatory properties. Popular in traditional medicine and as a beverage, topical application is thought to provide a range of benefits, including a chemoprotective effect against UV radiation . Studies have demonstrated the positive effect of the green tea polyphenol (−)-epigallocatechin-3-gallate (EGCG) in a keloid fibroblast culture model, explaining its potential benefit in vivo. One study showed significant inhibition of mast cell-stimulated type I collagen expression via blocking of the PI-3K/AkT signalling pathways , another demonstrated significant suppression of collagen production and proliferation via inhibition of the STAT3-signalling pathway . In a punch biopsy, ex vivo culture model, EGCG was shown to significantly inhibit growth and induce keloid shrinkage . Studies performed in animal models [29, 71] demonstrated that EGCG has a positive effect on wound healing; nevertheless, clinical trials in human subjects in the domain of wound healing and scarring remain to be established. Two trials were identified for inclusion in this study [40, 119] with a total of 41 patients. Both were ranked as LOE category 4. The randomised split-faced trial in acne sufferers by Yoon  (n = 37) demonstrated that EGCG was well tolerated, and effective at reducing symptoms and inhibiting P. Acnes over the 8-week study period. Another split-face pilot study by Domingo in patients with erythema and telangiectasia (n = 4) demonstrated that although symptoms did not improve, HIF-1α and VEGF expression were reduced compared to vehicular control . A. vera has been used in traditional medicine for centuries; however, the literature available for its use in wound healing and skin scarring in particular is lacking. Following the literature search, four articles were identified for inclusion in this review, two of which were systematic reviews. One of these, a recent Cochrane systematic review  (A. vera for treating acute and chronic wounds, identifying 7 studies, involving 347 patients) concluded that clinical evidence for the utility of A. vera in treating acute and chronic wounds was mixed, and that firm conclusions of its effectiveness in improving the rate of wound healing or the quality of the scar produced was lacking due to the absence of high-quality trials and the range of different treatment settings and assessment criteria utilised. Another systematic review , focussed on the use of A. vera for treating burns, identified 4 studies with 371 patients. Although this study had found that average healing time and the re-epithelialisation rate appeared to be reduced, there was no assessment of improvement or otherwise in scar quality. As also concluded by other systematic reviews included in this review, it was difficult to compare the various methodologies and papers to draw firm conclusions as to the effectiveness of A. vera in this context. Of the two remaining studies involving 79 patients, one was ranked as LOE category 2  and one as category 3 (Khorasani 2009 ), with both reaching positive conclusions in terms of the rate of initial wound healing observed. The first, a randomised placebo controlled trial utilising A. vera cream following hemorrhoidectomy (n = 49), concluded that pain was reduced and the rate of wound healing increased initially compared with placebo treatment after 2 weeks, but after 4 weeks, the maximum follow-up period of this study, there was no significant difference between the two groups. No assessment of final scar quality was made, with 4 weeks being too short a time period for any conclusions regarding mature scar tissue to be of relevance . The second, a case–control study of A. vera compared with silver sulfadiazine cream for the treatment of second-degree burns (n = 30), indicated that the rate of re-epithelisation and healing was greater with A. vera. However, no assessment of healed burn scar quality with respect to silver sulfadiazine control was made, and follow-up was only 24 days . Vitamins have been used in topical cosmeceuticals and moisturisers for decades, as an aid to improving skin condition, and their anti-oxidant properties are thought to help prevent UV damage in photo-aged skin. The most commonly cited is vitamin E (tocotrienol). One review concluded that evidence for its efficacy in wound healing was lacking . A survey and review of the use of vitamin E to aid skin scarring concluded that although it is often recommended by clinicians, evidence in the literature for its efficacy is lacking . Two studies utilising vitamin E following surgery were identified [66, 120], totalling 550 patients. Both were ranked as LOE category 2. The large prospective randomised single-blinded study by Zampieri (n = 428) assessed vitamin E both pre- and post-surgery in children. Utilising the Vancouver Scar Scale, they summarised that treated wounds were of better appearance with less problematic scarring than the placebo group after 6 months ; however, this paper was criticised in relation to their definition of keloid scarring, which should not be as prevalent in young children of Italian ethnicity . The double-blind trial by Khoo following surgery (n = 122) observed no change in overall scar appearance compared with the placebo after 16 weeks . Several other studies were identified which looked at the effect of topical treatments on skin scarring as primary outcome. A randomised double-blind placebo controlled trial by van der Veer et al. (ranked LOE level 2) of the use of topical vitamin D (calcipotriol) twice daily for 3 months following bilateral reduction mammoplasty (n = 30) concluded that it had no effect in reducing the occurrence of hypertrophic scarring compared with control over the 12-month follow-up period. Another commercially available product is moist exposure burn ointment (MEBO®, Julphar Gulf Pharmaceutical Industries, Ras Al-Khaimah, UAE). While this is most commonly used for burns, two prospective studies utilised MEBO® to improve scar quality  and wound healing  were identified (n = 126). Both were ranked as LOE level 4, each comprising a range of individual case studies and small randomised blinded trials with 6 months follow-up periods. The first (n = 60) concluded that cosmetic appearance of scars treated was improved when compared with topical antibiotic (fudicin) and untreated controls. The second (n = 66), in split thickness skin grafts or following facial surgery, also observed improved wound healing and scar formation. A new formulation, MEBO SCAReducer®, is now also available from the same manufacturer. The studies identified for inclusion in this review were assessed according to their design and data by the rankings defined by the Oxford Levels of Evidence (Table 2) [60, 61, 62]. In summary, 39 articles were identified (excluding systematic reviews and retrospective studies), with 1703 patients. The majority of articles were categorised as Level 4 (n = 23), with a relatively small number, less than 25 %, being classified as robust studies (LOE 1 or 2, n = 9). In all cases, there was conflicting evidence as to whether the topical intervention was of benefit. Several large systematic Cochrane Reviews have been published, in the use of silicone gel sheeting for the prevention of hypertrophic and keloid scars (; 15 trials, involving 615 patients), A. vera for treating acute and chronic wounds (; 7 trials, 347 patients), topical treatment for facial burns (; 5 RCT, 119 patients) and honey as a topical treatment for wounds (, 25 trials with a total of 2987 participants). The main conclusion drawn from these reviews was that while several options are available for treatment of a range of different scar types, many of which are used extensively, there were no large-scale studies with prolonged follow-up periods to draw firm conclusions regarding long-term efficacy , a recommendation which is also made by this review. Common problems encountered during the preparation of this review included the limited quality and individual flaws with much of the available literature, in particular low patient numbers, poor randomisation and blinding, the range of different scar assessment methodologies used and outcome measures reported, and short follow-up periods. Results from clinical trials should be looked at cautiously, especially due to the number of positively associated clinical trials identified and the levels of evidence presented, as these may be subject to selection bias where negative results are not published and therefore are not available to review [47, 58]. Despite the volume of research into treatments for skin scarring, there is little evidence to support many over-the-counter treatments and cosmeceuticals available . A recent review concluded many of the advertising claims made by these products cannot be substantiated . This is a common finding for many cosmeceuticals, as there is no requirement to undertake clinical research, making it difficult to critically evaluate the available evidence in comparison to other approaches listed in this review. It is difficult to randomise a trial based on wound healing, or to compare between studies performed in different patient subsets and hospitals. Many factors such as anatomical location, patient demographics and medical history, surgical operation performed or the age and type of scar, the injury that caused it and the lack of controls, are impossible to standardise between trials . Anatomical location is of particular relevance with revision surgery for keloid scarring; as summarised in the literature above, the greatest rate of success across all treatments was with earlobe keloids, with recurrence of keloids excised from the sternum being most problematic. The follow-up period for such studies should ideally be 12 months or more, to ensure that the observed effect is due to treatment and not the natural process of wound maturation which improves over time; the majority of trials identified for inclusion in this paper had follow-up periods of 6 months or less. A further factor in interpreting the literature is the variability in scar scales utilised and the subjective nature of assessment; while many of the studies assessed in this review rated scar symptoms such as inflammation, erythema, size, scar contour, dryness and pruritus, in many cases these did not relate their findings to a published and recognised specific scar scale. In the literature cited in this review (see Table 2 for references), the Vancouver Scar Scale  was one of the commonly cited assessments of scar symptoms [14, 32, 63, 65, 79, 98, 120]. This variability made it particularly challenging to directly compare and contrast the various studies identified. The subjective nature of scar assessment could be limited by having different clinicians independently analyse the same scars in each study. An alternative issue is that many formulations contain multiple ingredients, and their efficacy in combination is difficult to elucidate in the limited trials performed. There are examples in the literature where a combination of different approaches have shown success , indicating how difficult the management of keloids and problematic scarring can be. There is an unmet clinical need for effective treatments for skin scarring, in particular to address inflammation, pruritus, dryness and redness, commonly cited by patients as the factors which affect them most. Furthermore, robust and consistent, large scale, clinical trials are required to determine the effectiveness of these treatments. A number of articles have summarised different treatment options available for wound healing and scarring; however, these focus on diagnosis and management, and do not review the role of topical therapies in detail [2, 28, 75, 80]. These currently recommend topical silicone gel or dressings along with intralesional steroids and pressure therapy for problematic scarring, and potential surgical revision if required. Based on the current levels of evidence presented in this review, it is difficult to recommend the topical treatments identified as alternatives to current practice based on the limited clinical trial data currently available, although some success has been shown when these are utilised as supplementary therapy to standard practice in addressing specific symptoms of concern. What is clear from this review is that a standardised and systematic approach and strategy for evaluating scars prior to deciding on the appropriate treatment regime is required (Fig. 2). Symptoms and signs, as well as physical and psychosocial complaints, need to be considered early, through use of objective scar assessment scales and possibly tools, to elucidate the most significant factors. The PRISM scale  potentially has additional benefit in this context, as it includes a patient’s perspective. Treatment, if appropriate, needs to address these specific issues individually (Table 3; Fig. 3). It is important to regularly monitor and re-evaluate response to therapy, particularly to assess signs and symptoms as they change in response to treatment and scar maturation. Thus, as symptoms and signs of the scars change over time, a clinician’s approach with targeted therapy would need to be altered. A greater utilisation of a range of subjective and objective non-invasive tools throughout this process, such as standardised photography, laser Doppler imaging, 3D cameras, and SIAscopy, would likely aid interpretation and evaluation of the skin scars, both in a research and clinical setting, and lead to a more targeted treatment based on managing problematic scar-related signs and symptoms.